Date of publication: March 08 2013 . Continue a series of alterations from IKEA. In this article we would like to tell you about a very unusual place in the interior of which is used IKEA furniture. At this time, the brand has become an excellent "partner" for the "wizards" of the restaurant business in creating a place to relax and range from IKEA plays an important role. 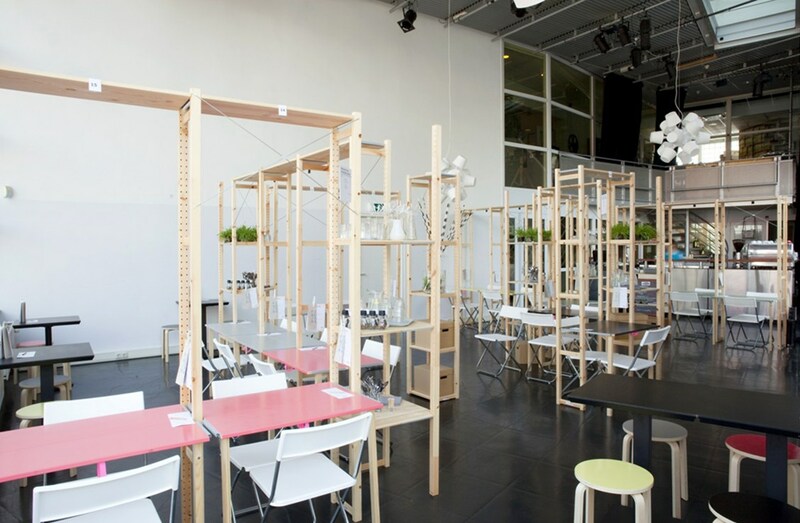 So, today we are impressed by the idea of ​​registration IkHa cafe in The Hague (Netherlands). As you know, there is now a huge number of institutions that are classified in different directions. This can be a style of music, interior design, kitchen, a youth subculture, dance, etc. And, of course, one could argue that man is a great opportunity for self-realization. Let's think, what is the unique interior «IkHa» in The Hague, and the goods from IKEA contributed to its creation. The creation of the IkHa cafe was done by the architects Oatmeal Studio. 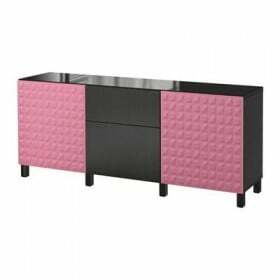 Choosing furniture and the necessary "accessories" for the interior, they set the task to make everything simple, unusual, easy and functional. Beauty and zest, self-assembly, lightness and quality, as well as compactness. All these advantages were found in the IKEA store. Expectations were justified. The idea of ​​creating a cafe is this: a spacious bright room in the form of a labyrinth of rooms and shelves (an area of ​​70 sq.m.) using the most common IVAR rack. IKEA so tempts us: it is suitable for any needs. 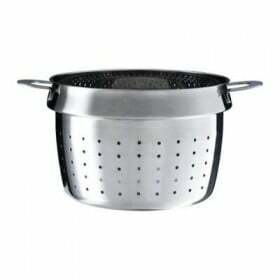 But the rest of the important "figures" in the arrangement of the cafe were objects and things for the kitchen and other household purposes from IKEA. At first glance the design may seem complicated. However, as you know, it's easy and convenient to collect Ikeev furniture, especially since it is capable of performing several functions simultaneously. It is the last words of our previous phrase that are so important for architects and their ideas! IVAR shelving series that became the basis for the design, you can View in catalog. 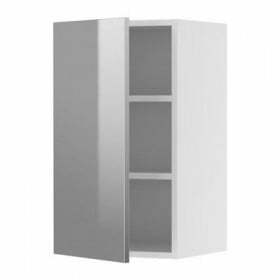 In IKEA catalog they differ in combinations (we are talking about the number of sections) and components (presence of shelves, drawers, cupboards). Material production - natural and durable: untreated solid pine wood, which can be painted. Agree - extraordinary! Initially, the thought creeps in that it is a design studio or class to implement creative ideas out. But be that as it may, by visiting this cafe, you have the right to imagine anything. This is purely your imagination. Here you master of his actions. No wonder that the restaurant has IkHa transcript: "Do it yourself". 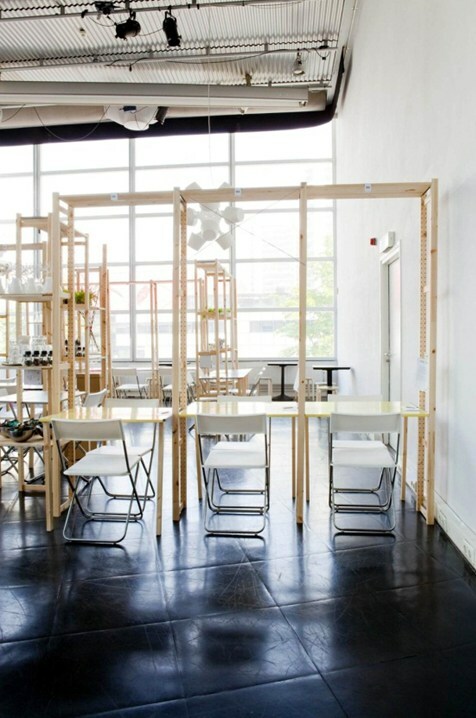 And we would describe this place as, for example, "Studio IKEA" or "to combine the pleasant with the useful thing: Visit IKEA restaurant IkHa in The Hague!". But this is just our imagination, although it is in fantasy is the meaning of DIY-projects. This project is based on the principle of self-service. No, no, this is not a fast food restaurant! There is a different meaning here. Entering the cafe, you first have to choose the right place for yourself, and for this you need to pass a labyrinth of shelves IVAR. Having decided with a secluded place, you should fill out the order form on special notebooks. Here you can order a traditional dish of the restaurant IKEA - meat Swedish meatballs. You will not regret! Only after that you come to the bookshelves and find instructions for construction for visitors. You need to collect the table and chairs by yourself, because Ikeev furniture is easy to assemble. And here it is - you are a "young builder". IVAR shelving feature is that the desired shelf you can install on any suitable level for you (in this remake - a countertop). Further, as it is you create an atmosphere around him. 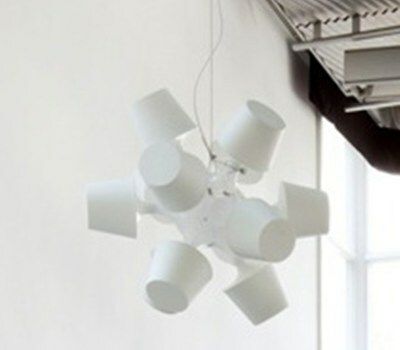 Over your table will only be only ceiling lamp from IKEA. 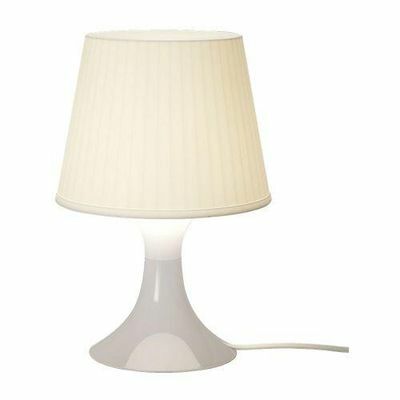 In the catalog you will not find it because it is another design modifications from a simple desktop Lamp LAMPAN. Of several lamps constructed here is a 'fun' thing lighting. Next time - it is a wall with a varied selection of wallpaper. Approached her, you measure and cut the desired piece and make it a tablecloth and napkins. Then pick up the pot with flowers, tableware, tray, salt, pepper, etc. 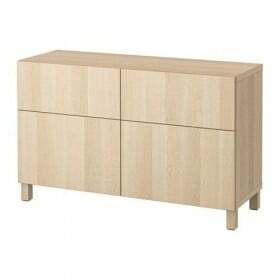 All these items from IKEA cozy "feel" myself on numerous shelves of a series of our hero: IVAR shelving that resemble the designer easy assembly. That is an option for your fun. This area with wallpaper. Here you can see the shelves with the necessary attributes listed (even inconspicuous in appearance ikeevskie box with lid PAPPIS on the lower shelves next to each table have been useful, as are multi-functional). As well as a general picture we have described above the maze of shelves and their purpose. Another bright fragment cafe IkHa. After you have settled down, the attendants will bring your order. So what is next? Further flight of fantasies: "a class for the realization of creative ideas outside the house; the place of combining pleasure with useful; game with the received ideas; vacation with friends ", etc. A worthy example of the multifaceted design of IKEA plus the embodiment of fantasy into reality. It can be assumed that the cafe "IkHa" is a kind of advertisement for the world-famous brand or a mini-exhibition of goods from IKEA. The indisputable fact that this institution is a place of self-realization, creativity, an idea for own creation of a cosiness in the house with the help of a shelving from IKEA. After all, racks for home - it's very convenient and functional. They are universal and appropriate in any interior. A wonderful "place of residence" for books and flowerpots, as well as for umbrellas, hats, shoes and other various items. Although the purpose of this article was just to tell you about an unusual place, we hope that with this modifications, we were able to convey to you our thoughts - unusual things come out quite ordinary things, sometimes you need only look at and what you think in the usual trivial and can serve as a basis for the realization of your design fantasies.